Do you change your makeup/skin care routine when the season's change? Are you ready for Summer? Neutrogena® Rapid Tone Repair Moisturizer Broad Spectrum SPF 30, Neutrogena® Makeup Remover Cleansing Towelettes, Neutrogena® Shine Control Liquid Makeup, Neutrogena® Shine Control Powder and Neutrogena® Shine Control Primer. My thoughts-I have learned to change my routine. I am no longer as young as I want to think that I am. My skin care is a priority compared to before when I could just roll of the bed, brush my teeth, and ponytail my hair on the go. I really like the Neutrogena® 2013 Summer Routine Products. They prepare me for a fresh Summer look. The rapid tone repair comes with sun screen, protection your face needs. I carry the towelettes in my purse with this heat I have to constantly freshen up. The shine control primer is a perfect compliment to the powder. Love that I can keep my shine under control with this routine. This giveaway ends 6/17/13 at 5 am. 1 winner will be randomly selected to win. The winner will have 24 hours to claim their prize. Please leave your email in the mandatory entry. You entries will be disqualified if your email is not on that entry. US only. We hope that you are enjoying this first look at the Summer Routine products valued at $55 and would love it if you could share them with your audience during 2013! I'd like to try the Moisturizer Broad Spectrum SPF 30. I would like to try the Makeup Remover Cleansing Towelettes because I don't always remove my makeup before bed! 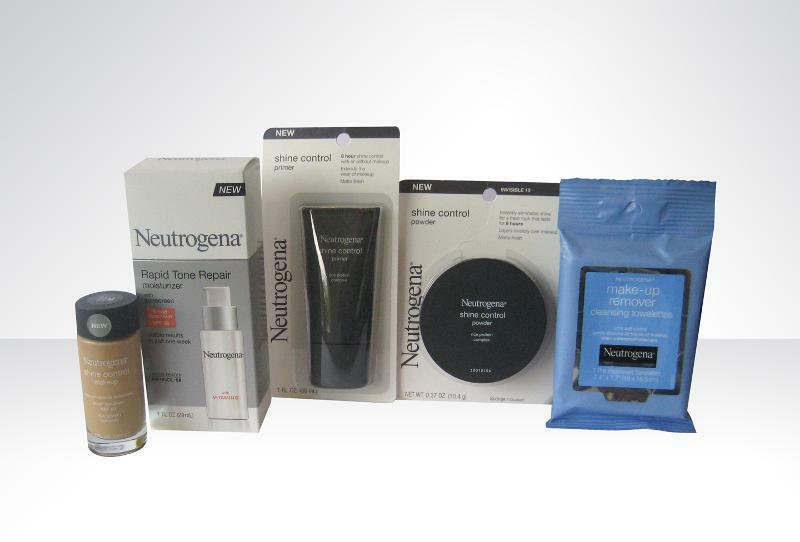 I would like to try the Neutrogena® Rapid Tone Repair Moisturizer Broad Spectrum SPF 30 and the make up remover. I want to try the Shine Control Primer the most. I shared this giveaway on Facebook at https://www.facebook.com/likwan/posts/10151497559792817. I tweeted the requested message on Twitter at https://twitter.com/likwan/status/346582737982988288.